This trail is composed of a lot of technical ST and a short stretch of DT. It is a mix of intermediate, advanced and expert levels of difficulties. The trail is very well marked once you are on it. Just follow the signs to Fisher Point, which means the overlook in this case. Review: Thigh burner climb to the top to see Fisher Point Overlook trail, it's a tough 400-500 feet elevation in a mile. 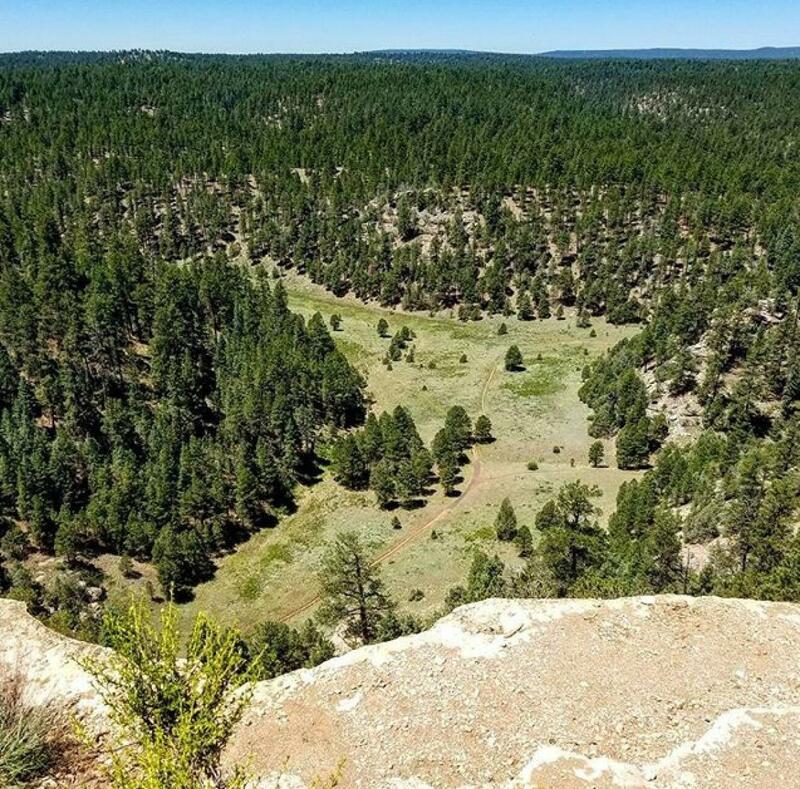 Views of Flagstaff and Arizona trail and the sandstone bluff where you came from can be seen from the top. After enjoying the views the downhill ride going back to AZT is a blast! Review: This is a gem of a technical trail. There is not a lot of technical riding south of Flag, but this trail is a true exception. Some portions have a lot of gnar, and others are very fast. Great mix; great trail. I recommend riding it from the north end south and up to Fisher Point overlook first. This is a little over a mile. There is some awesome fast track and great technical climbing on this stretch. Then turn around from the overlook and ride out to the south end access point at the bottom of Fisher Point. This is a little over a mile of AWESOME, DH, narrow, technical ST. Once you are at the bottom and you have seen the trail, then you can decide if you think you can or want to ride back up the trail. Many will not. It is a tough technical climb. If you decide not to, you can just ride up the Fisher Point Trail, AZT and/or the FLT back to town. Also it should be noted that this is a very beautiful trail with great views and a stretch of Ponderosa Pine Doug Fir mix. This trail may be short, but it is a 5 star trail imo. Fisher Point Overlook Trail MTB Trail 4.50 out of 5 based on 2 ratings. 2 user reviews.